I apologize for the lack of posts lately! Unfortunately I don't have access to a camera at the moment so I haven't been able shoot any outfits, so this post is brought to you by an iPhone. Friday morning I volunteered with Big Brothers Big Sisters. I'm involved with a program for middle school girls that focuses on balanced eating, active living, and self-esteem. If any of you have volunteered with BBBS before, then you know that the application process is not easy to say the least, however, it's well worth it in the end since it's a great way to give back. After volunteering, I traveled to Toronto to meet my boyfriend. He was there for a conference, so we decided to stay in the city for the weekend. His father often stays in Toronto for work, so he has an apartment in Yorkville which he generously lets us use from time to time. 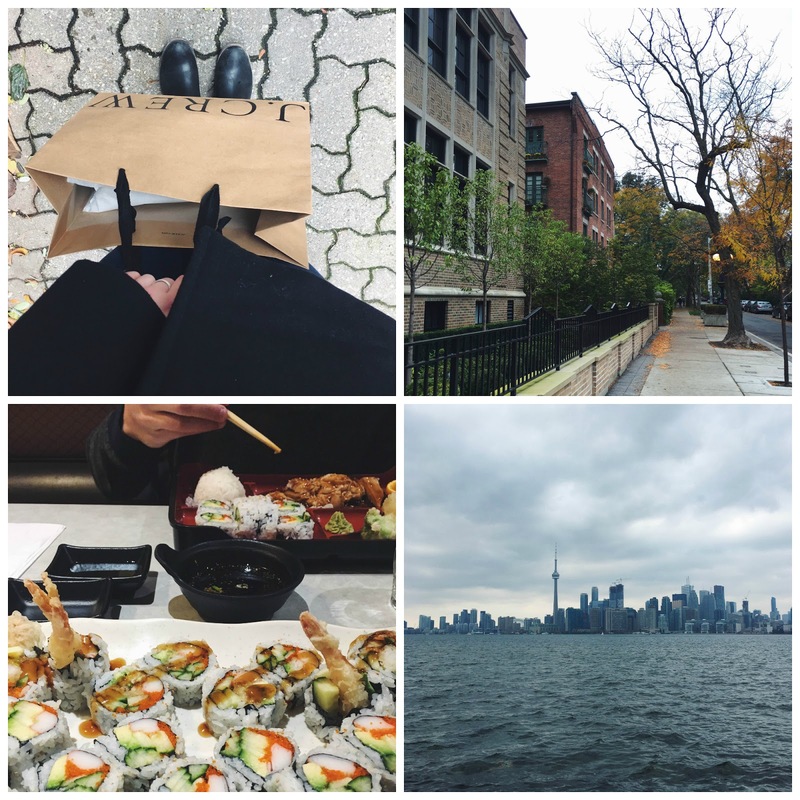 I've lived in Toronto twice for internships and it was so nice to be back! It got me so excited for next year, since I'm applying to a Master's program in the city and I've prematurely started to plan out my life there. I probably shouldn't be getting too ahead of myself, but having something exciting to look forward to is getting me through the semester. As soon as I arrived, we headed straight to our favourite sushi place and then walked around Yorkville. One of my favourite things about Toronto is that you're never far from a sushi restaurant. Seriously - there are like 5 restaurants within a 10 minute walk from the apartment. The following morning, we had a quick breakfast at Whole Foods (love their creme brulee french toast!) 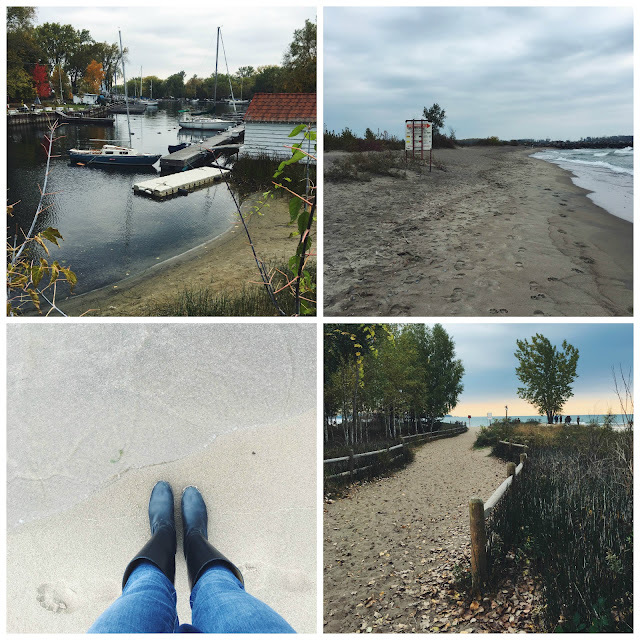 and took the ferry over to Toronto Island, which is filled with quaint homes and beaches - pretty much the opposite of downtown. After, I forced my boyfriend to stop in to J. Crew so I could buy this shirt. I love the "perfect shirt" fit - it's more fitted and waist-defining than their boy shirt and I will definitely be adding more to my closet in the future. To finish off the day, my boyfriend and I went to an amusement park. I can't wait to go back in December to see the Nutcracker for the millionth time and check out the Christmas markets!